A new shiny pelt for a cattle yard stalwart. 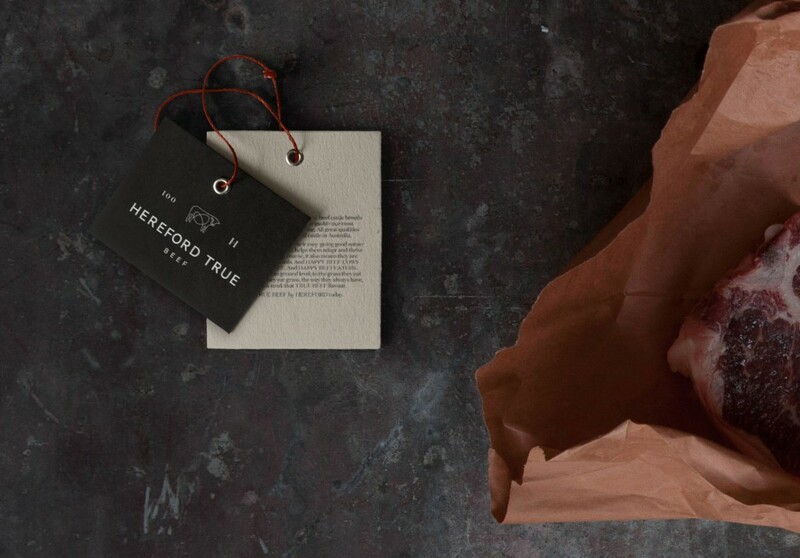 Hereford True Beef is a beef brand developed and owned by Herefords Australia as a key component of its overall growth strategy for the Hereford breed consumption. 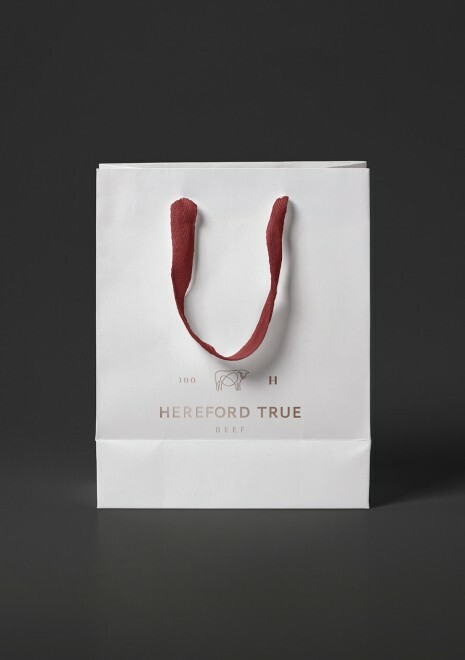 End of Work was engaged to create a strategy to launch Hereford True Beef’s first-ever beef brand to market. 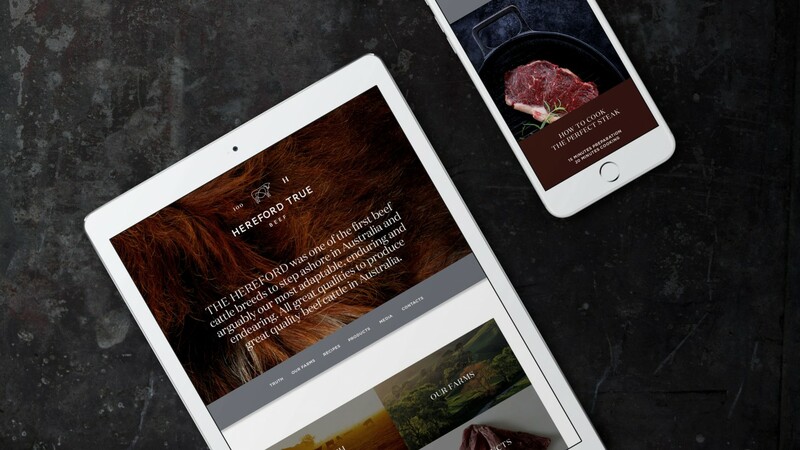 We began by immersing ourselves in the beef industry and speaking to everyone from stock and station agents to breeders and graziers to meat wholesalers to butchers and chefs. 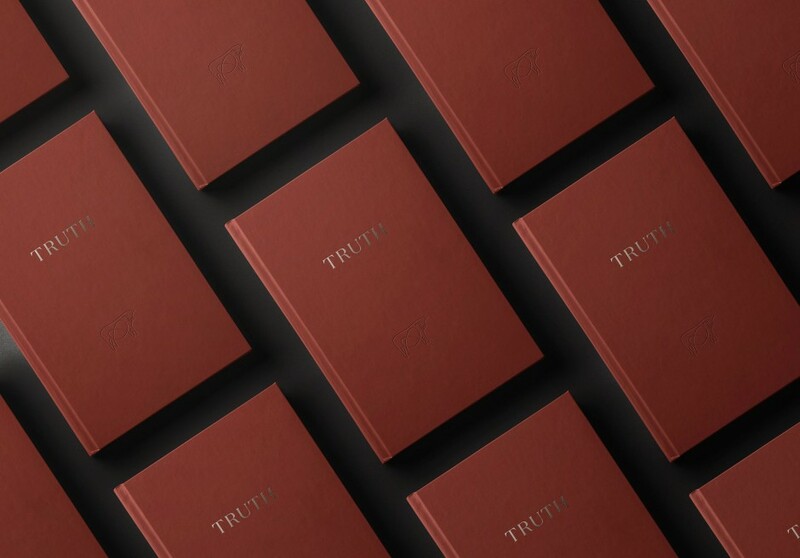 We focused our efforts around a number of truths. The prevalent yield-above-all model of feedlot finishing goes against the very nature and temperament of Herefords. We discovered Herefords are also known for their easy-going good nature – helping them to adjust and thrive in challenging environments. This also means they are generally contented, happy animals. And the simple fact that cows were bred to eat grass. 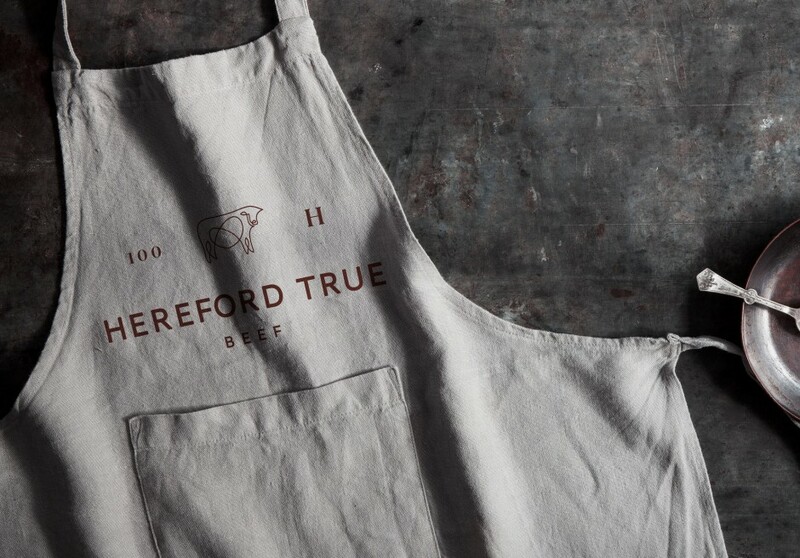 End of Work established the name ‘Hereford True Beef’. 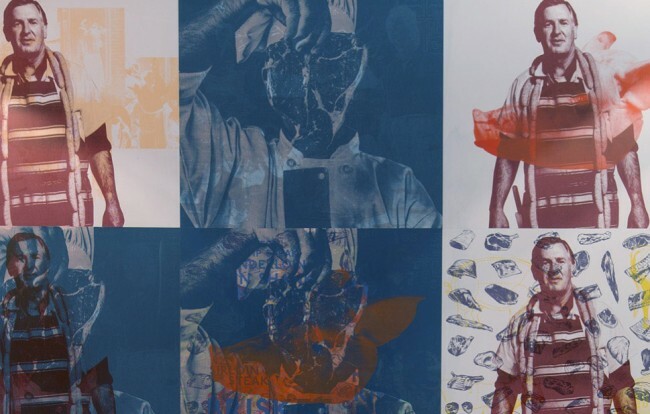 We created a narrative around passion; the passion of a generation of chefs who believe that the cornerstone of good cooking is to source the finest natural produce. 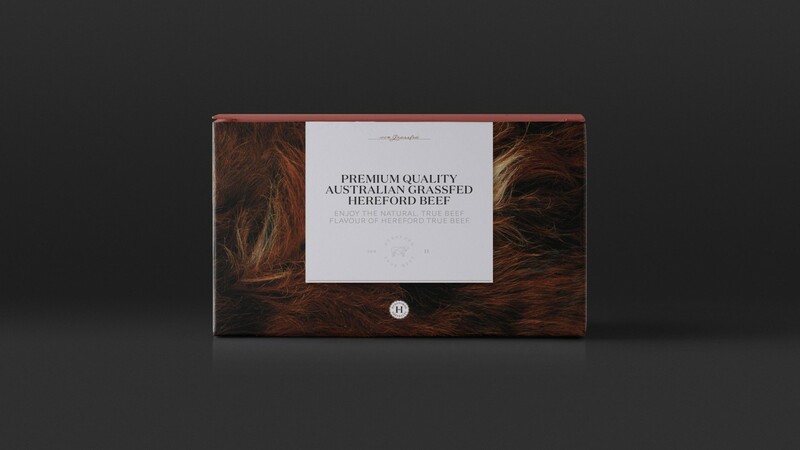 We created a logo that symbolised this and a strong identity with an emphasis on the Herefords’ blazing red pelts applied to a range of packaging, brand book and website as well as a raft of launch advertising and collateral. 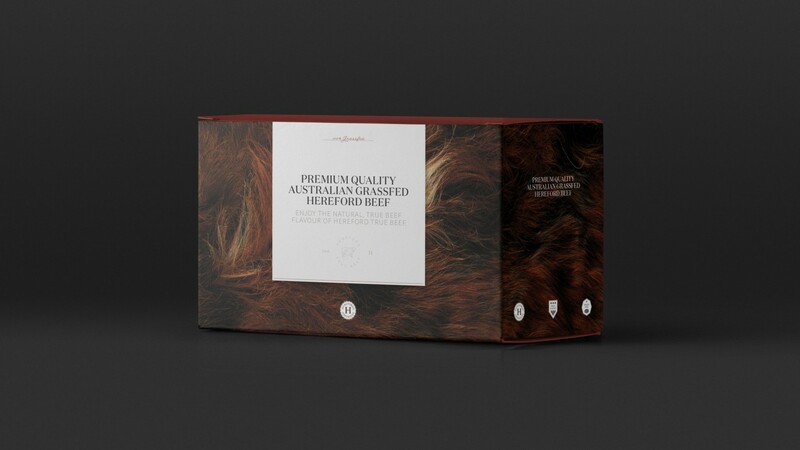 The products are based on the highest eating quality with a strong emphasis on primal and sub-primal cuts, so we targeted the high-end food service sector influencers in Australia and overseas. 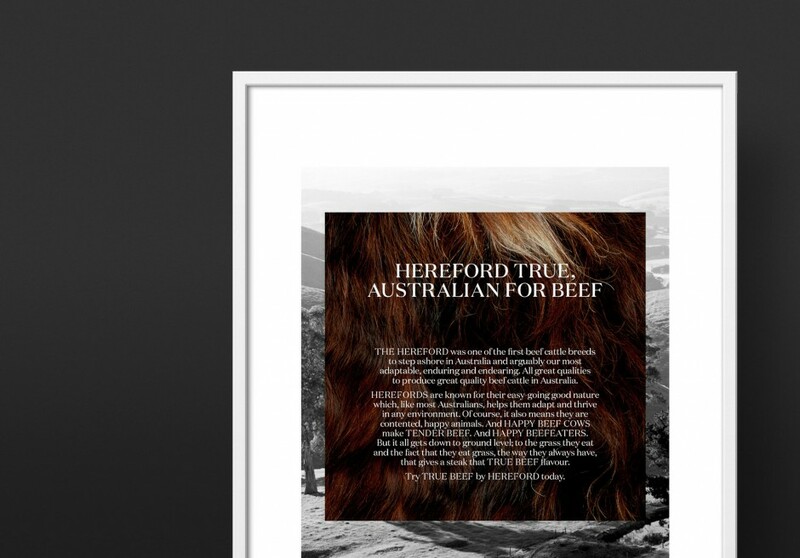 As a result Herefords can now be found on the menus of some of Australia’s finest restaurants. 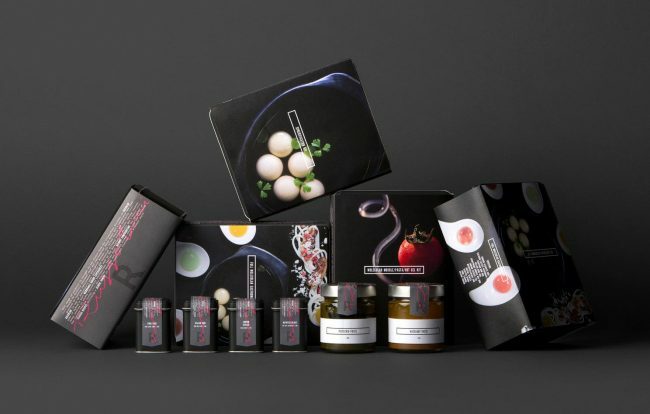 Modern chefs believe that the cornerstone of good cooking is to source the finest natural produce. 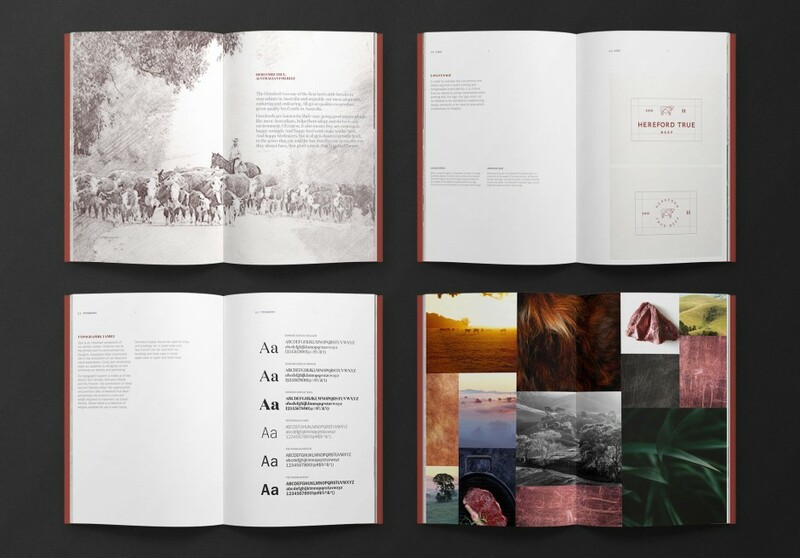 So our Brand Identity and Point of Sale design needed to reflect natural timeless sophistication. The signature of quality hospitality. 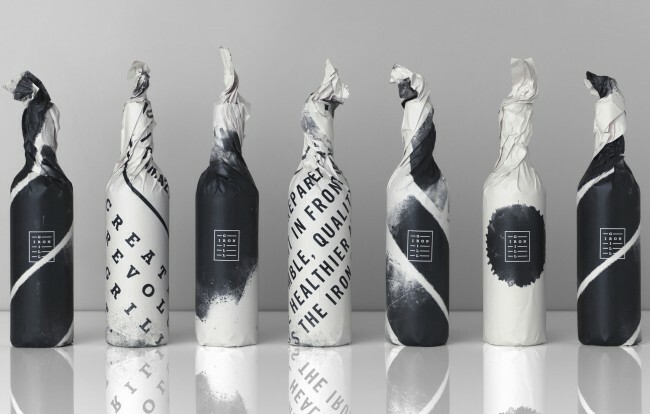 Creating a brand to reflect the exacting standards of boutique food service consultancy from Chef Danny Russo. The brand, product range and retail spatial design. A Ché Guevara-style flavour-first mantra which has customers queuing up at lunch time.